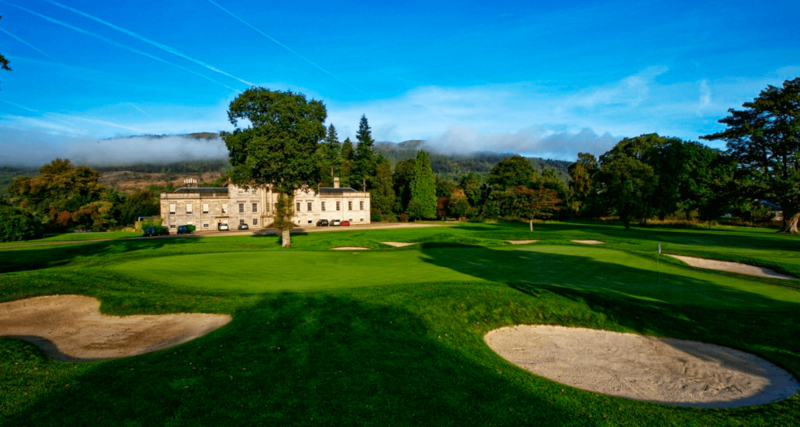 The Loch Lomond Golf Club is one of the important landmarks in this part of Scotland. It is located on the shore of the Loch Lomond, in Luss, Argyll & Bute in Scotland. As a member of this club, you can access the various amenities and the golf course that is within more than 600 acres of land. Of course, non-members can also enter the premises as long as they have an official invite or endorsement from a member of the club. The club stands on grounds that used to be held by Clan Colquhoun. The Rossdhu Castle was built by Sir John Colquhoun back in 1457 together with the private chapel known as St. Mary of Rossdhu. It is believed that it is in this castle that Mary Queen of Scots wrote here love letters. Although the castle was destroyed by a fire after the Rossdhu Mansion was constructed, you can still see the ruins behind the 18th green of the course. The Rossdhu Mansion was built to replace the castle and is now the central portion of the Loch Lomond Golf Club. The structure was completed in 1773 by Sir James Colquhoun and designed by John Baxter. Back then, the mansion served as the family seat when the clan was led by Sir James Colquhoun, 3rd Baronet and his wife, Janet Colquhoun, the writer. Up until the 1970s, the mansion served as the home of Sir Ivar Colquhoun, 8th Baronet and Lady Colquhoun. The couple loaned a lot of the original artworks and furniture to the restored manor house back in 1994 to ensure that the Rossdhu Mansion will be historically preserved regardless of who owns the club. The Club itself has 43 suites that are scattered among the Carriage Houses, The Point, Garden Cottages, and the Loch Shore Lodges. This is a popular option since more of the guests come for a holiday vacation in the countryside. It also provides additional revenue for the club. The amenities of the club includes a pro shop, locker rooms, health clubs on-site, dining rooms and a casual bar and grill. The club also offers fitness programs, boat tours, bike riding, and clay shooting. You can also enjoy a bit of game hunting if that is your idea of fun. Of course, you have to try the golf course. It was designed by Tom Weiskopf and Jay Morrish. There was careful thought into the design because Weiskopf wanted it to be considered his memorial to golf. It consists of a 7,100-yard course that is among the finest in the world. It only opened in 1993 and has several natural hazards that include marshlands and streams. Each hole boasts of breathtaking scenery and is actually isolated from the others – with the exception of the 2nd and 4th hole. 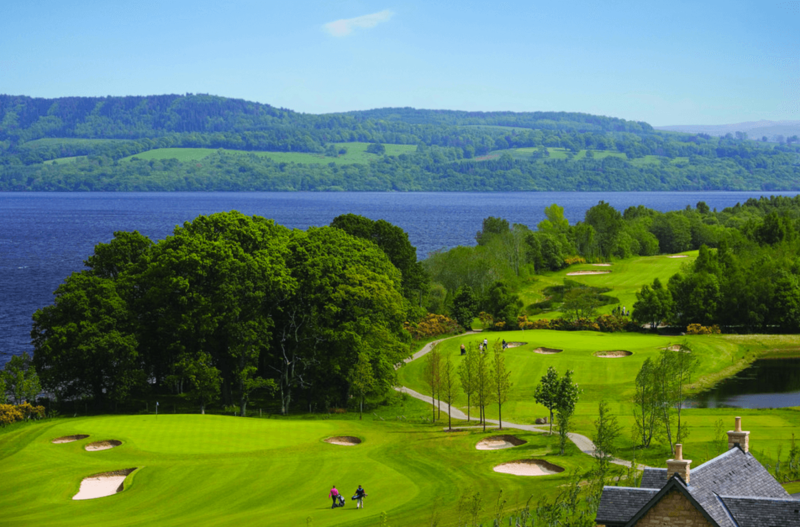 The Loch Lomond Golf Club is in a sheltered and secluded place on the shore of the loch. It covers more than 600 acres of land. It is located between the mountain and the Loch Lomond. Although it is primarily a golf course, it also features two important Sites of Special Scientific Interest. For one, this place protects rare plants and some of the most unusual woodlands in Scotland. The course has 46 different tree species were dozens of bat boxes are nestled into. Not only that, it is also a designated National Scenic Area. In fact, this is the only other European golf club that was awarded full Audubon status. The other is the Valderrama. This makes the Loch Lomond Golf Club quite a haven for environmentalists and wildlife conservationists.